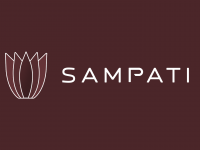 Sampati is one stop for creative items. A self taught artist based in Coimbatore (India) and have a passion for colours. The medium I like most are pen and ink, oil, acrylic,  Kerala mural paintings, miniature paintings and handmade jewellery . I ship my items through reputed shipping companies. REFUND POLICY *Exchange only if damage *All requests for return of product have to be placed within 24 hours from the date of delivery. No return requests after 24 hours from delivery will be processed. *All items must have the original tag and label and must be returned in the same conditions as delivered by the Company.